EXCLUSIVE AT NET-A-PORTER.COM. 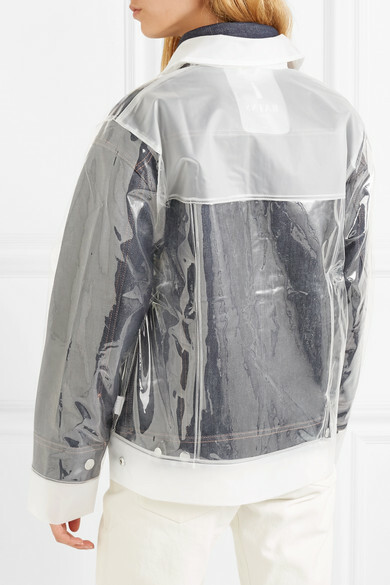 If you've been following the trend for perspex accessories that's been so huge recently, then you'll love Rains' outerwear. 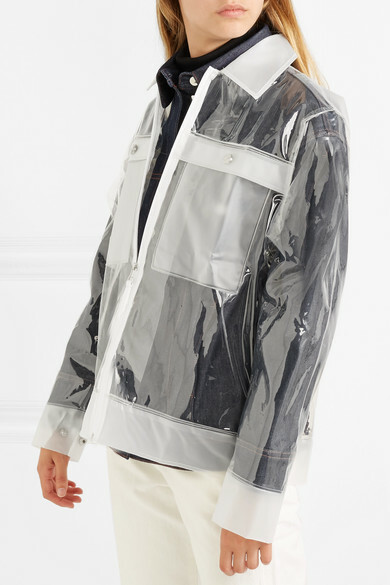 A very literal approach to braving inclement weather without having to compromise on style, this jacket is completely see-through with the exception of the frosted collar, pockets and cuffs. 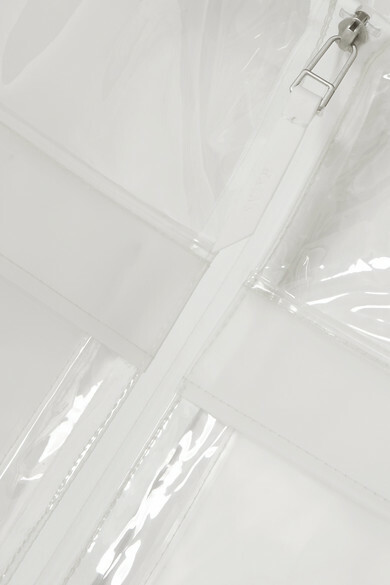 The engraved snap fastenings are a considered touch that's seen across the collection. 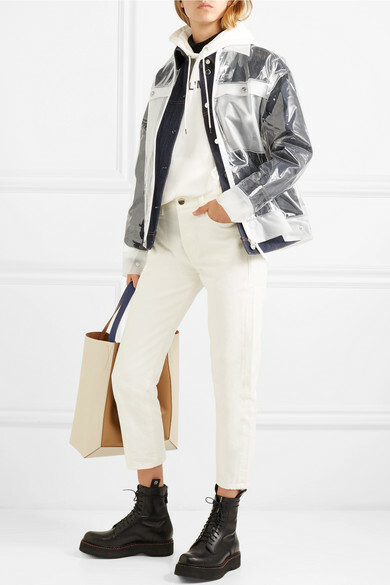 Shown here with: Goldsign Jeans, Totême Jacket, Les Rêveries Hooded top, Marni Tote, R13 Ankle boots.